"Vodafone spokeswoman Libby Hay said in some cases coverage could vary and it depended on individual circumstances. 'This can be due to a number of factors, including your height above street level, the nature of your building, hills between you and the cell site and atmospheric conditions.' 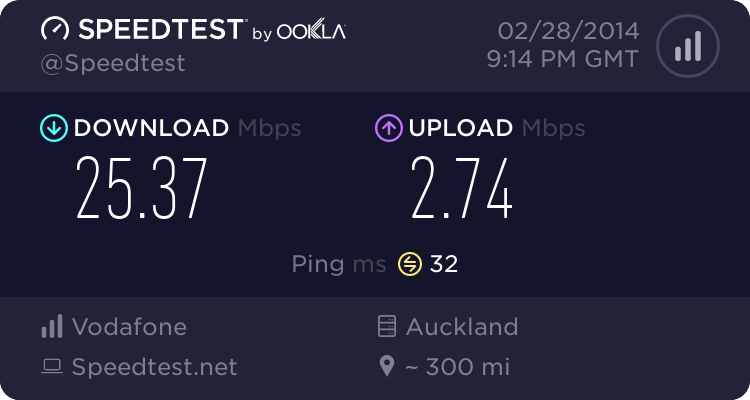 "
Remarkably enough, they don't blame their 2100Mhz 3G mobile network that makes sense in densely populated Europe but is really dumb for local NZ conditions (or Australia, or America). "I think they rolled out the phones prematurely and once the phones sold they tried to sort out the connectivity"
As if? Launching with manipulated hype rather than capability? Shhuuurely not. "At best the 3G coverage is poor out of the city area so why would you expect Apple iPhone to work well?" I wonder if they told the happy campers that their cool but extraordinarily expensive toy won't even work on their next network rollout to extend coverage beyond the metros? Wonder if Telecom will point out that these phones will work on 850 WCDMA that they're talking about for a nationwide network in the first half of next year? I'm guessing you aren't actually following any of the reports elsewhere that seem to point to significant issues with the iPhone itself? While VF's coverage may be an issue in some circumstances people worldwide are all complaining about the extremely poor RF performance of the device with significant issues causing dropped calls and extremely slow internet connectivity. The RF performance of the device seems very poor compared to any other 3G device and I'm aware of people who get no poor signal where 3G coverage is fine with another handset. pretty weak call. Considering VF AU is blaming the iphone. Not sure I agree entirely though - if RF performance isn't that hot surely the far better propagation of 850 would mean much higher signal strength at a given distance from the cellsite vs 2100 and therefore a better experience?? Wouldn't it? They probably were $5 cheaper per unit, Considering the problems I have had with these flippin MC39i units which have an infineon chipset that power such things as my SMS controllers and the Vodafone at-home box I'm hardly surprised, and then there is the RF isssues has anyone noticed the vodafone at home boxes based on an infineon baseband have a massive antenna and crap reception! When a Qualcomm module comes out to replace these horrible things I'll be celebrating. That's what you get when you get a rushed product, just like so much other software and rushed stuff that wasn't tested... DOH! The network isn't the greatest either but there are also many just horrible phones in the market now that are probably causing half the problems, should have seen the harmonic RF this "iClone" was spewing out!, I should post a screenshot. The latest firmware for the iPhone 3G (2.0.1) includes a 'tweak' to the cell reception bars that now make out the phone has better reception than it really does. There are other prices to pay besides the exorbitant sales price to buy the latest pretty but stupid "dumb blonde" of the mobile world. I was there when Libby took the call. Have you ever tried to explain how cellsites work to a non-technical journalist? Have you ever tried to explain what kind of things affect cellsite reach to a non-technical journalist? She did very well to explain that there are any number of factors that might impact on the user's experience including, but not limited to, distance from the cellsite, number of customers using the cellsite, atmospheric interference, tin foil hats, being in a lift inside a concrete building, being in the wilderness miles from a cell tower. That the journalist decided to truncate all of that down into the quote above is completely beyond our control. Cellphone coverage IS impacted by a number of factors. I think we all know that. We have not received a flood of calls about iPhone capability. In fact, the Stuff article seems to be based entirely on a Fairfax Aus article which is based on an unnamed source complaining about coverage. If anyone is having problems using any of our phones in areas they know have good coverage (eg you're standing next to someone with excellent coverage while you cannot connect) then you should log a fault so we can track it down. Our network staff are very good at what they do but they are not psychic. If you have a fault, log a job. So far, to date, Telecom has not announced a 850MHz 3G network. It is building a 850MHz GSM/Edge network. I think we need to remember that and actually compare apples with apples, not with wishful thinking about what might come along if/when/maybe. 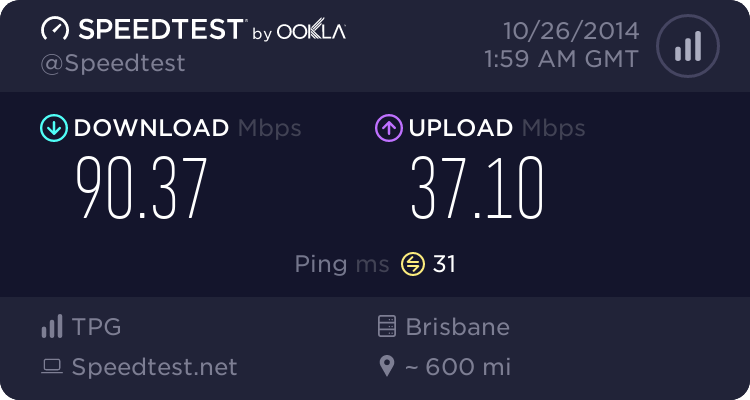 If the RF performance is terrible the RF performance is terrible. Period. A CDMA based air interface doesn't work in the same way that a TDMA based air interface works. I know that there are worldwide issues - the Daily Telegraph in London reports today that calls are being dropped etc. and of course we all know that cell systems are not 100% perfect. Apple have suggested that the call dropping issue can be corrected with a soon to be released software patch. However, I do wonder how the 3G coverage in areas affected by "hills & weather" - and buildings - compares here with, say, the UK or USA. That is - is it a general 3G issue or an issue more specific to NZ? All 3 are very legitimate reasons why coverage can be affected. CDMA air interfaces also suffer from cell breathing where coverage can vary depending on the loading. You can potentially have somewhere that can have great 3G coverage when there is low network load and poor coverage when the network is under load. 2100Mhz networks also can't deliver the same inbuilding performance as a lower frequency. Our 3G network isn't bad all things considered. Apple is relatively new to mobile phones, they have a long way to go still. Their mantra however seems to be shifting to that of other large corporates: (Sales Volumes * Price) - Repairs = Profit. I respected them more when their reputation was built on quality though I'm sure the shareholders are happier now. Geektastic: I know that there are worldwide issues - the Daily Telegraph in London reports today that calls are being dropped etc. and of course we all know that cell systems are not 100% perfect. Apple have suggested that the call dropping issue can be corrected with a soon to be released software patch. Not only the Daily Telegraph as you mentioned, but the Wall Street Journal is reporting it as well.